Hi, this post is for friends and family of my niece, Stephanie Cooper-Montague. 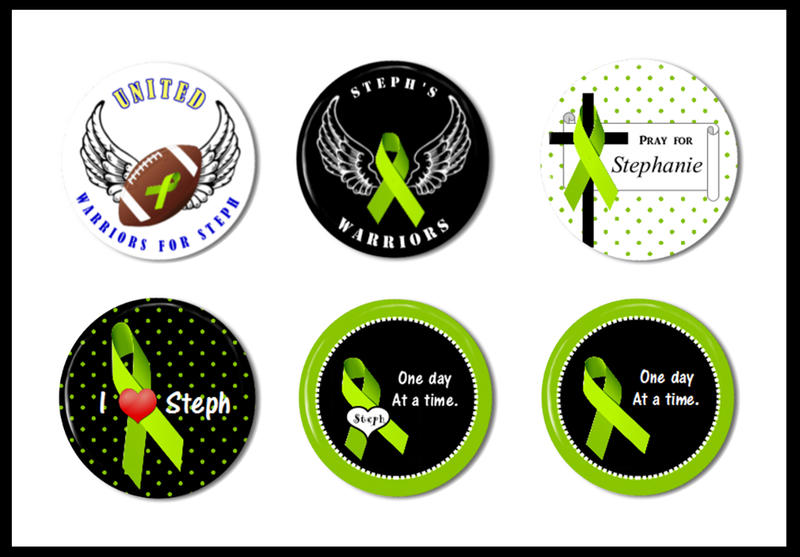 Her mother, my sister Sue, asked if I would make buttons available for those who want buttons to show their support for Steph as she undergoes treatment for non-Hodgkin’s lymphoma. Sue selected the six designs shown in the photo above. NOTE: this post was edited 9 APR 2016. If anyone is still interested in ordering buttons, please contact me or talk to Sue.